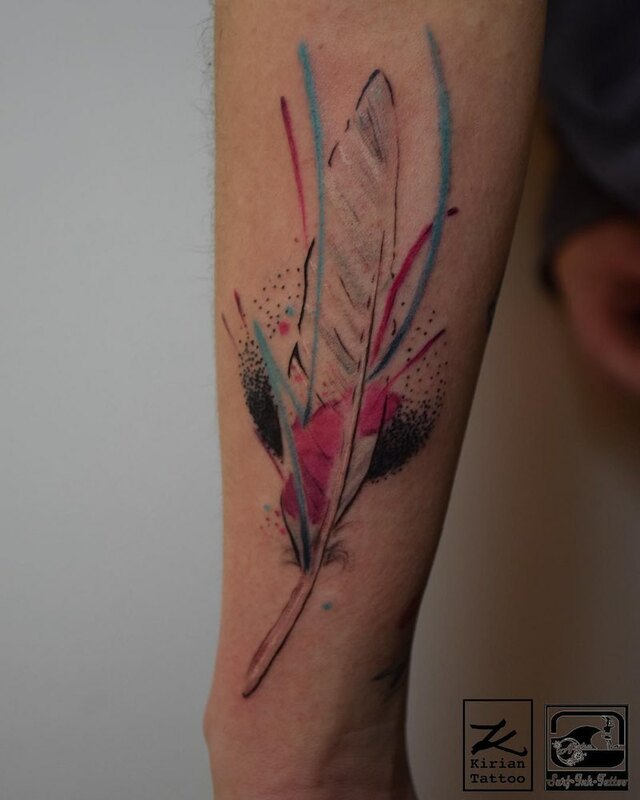 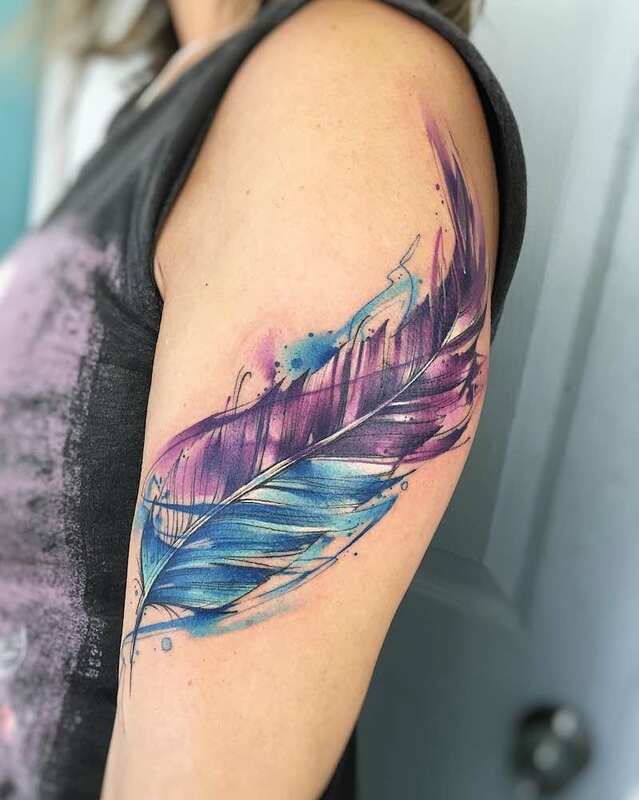 Feather tattoos have gained popularity in recent years. 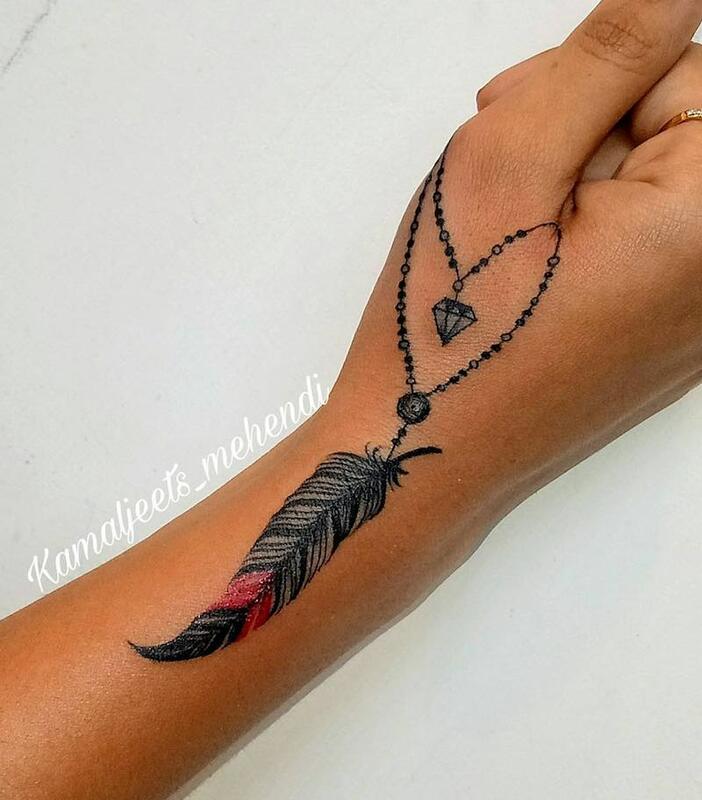 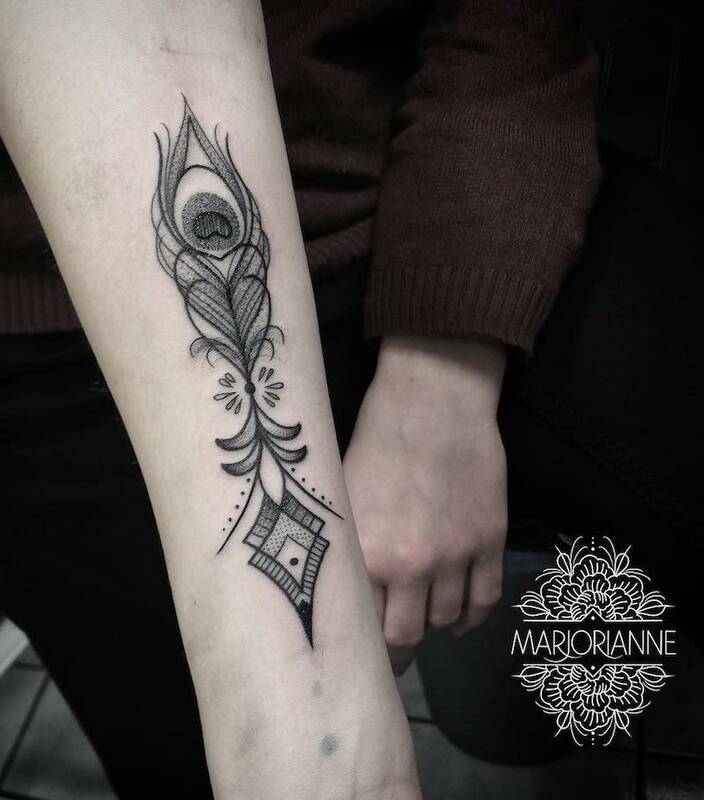 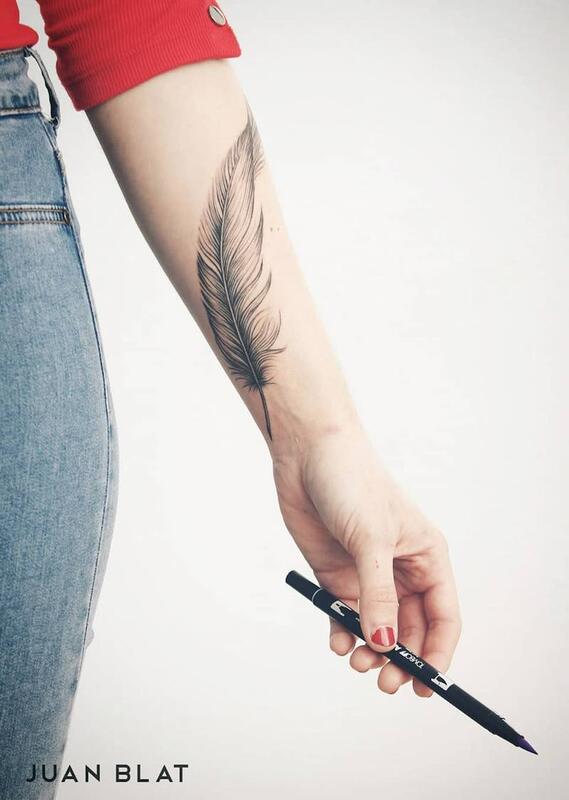 With a multitude of styles and designs on offer, it’s not hard to see why feather tattoos are such a fashionable choice for tattoo enthusiasts everywhere. 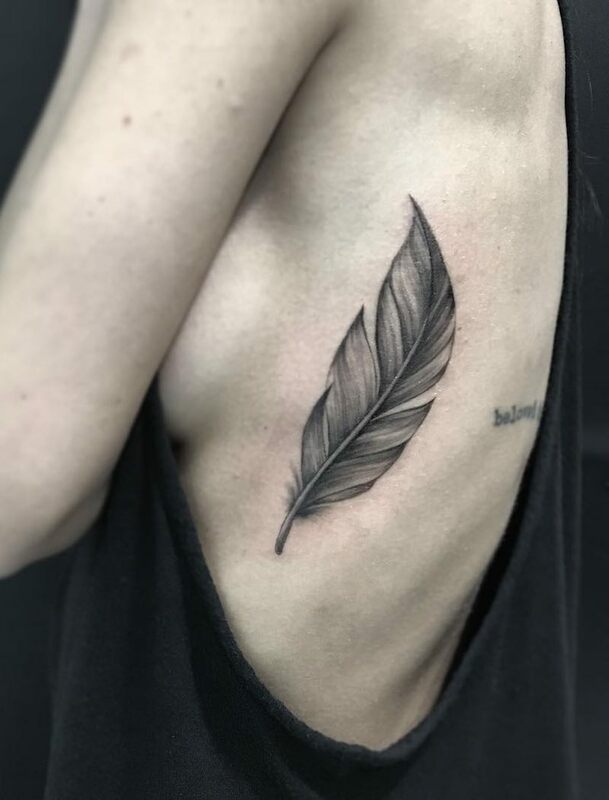 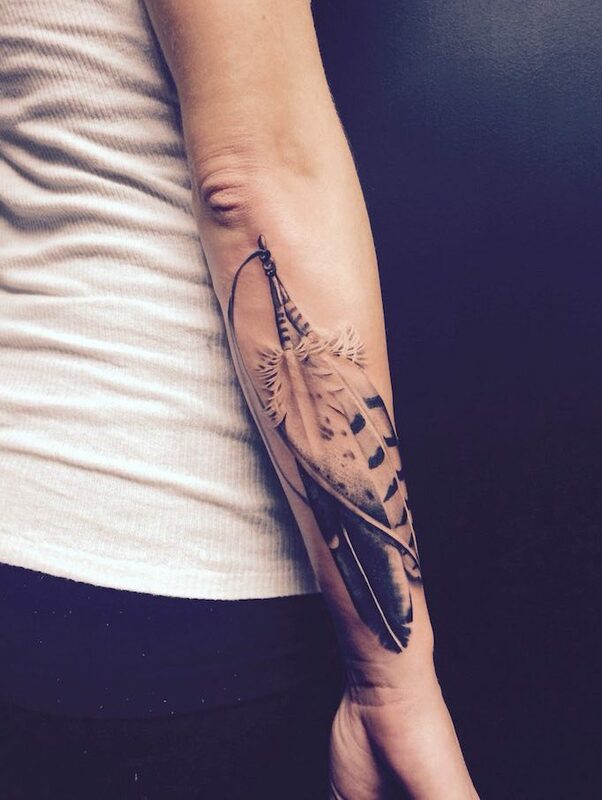 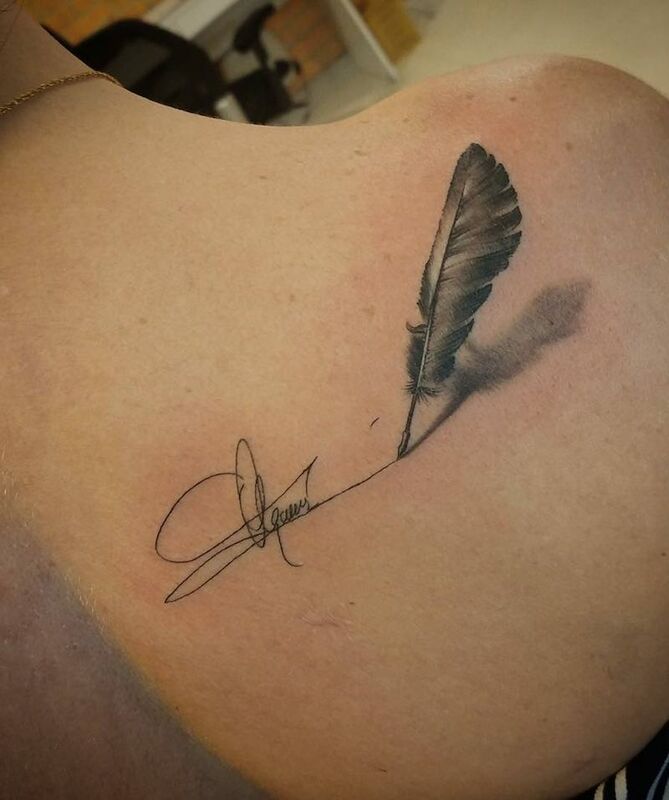 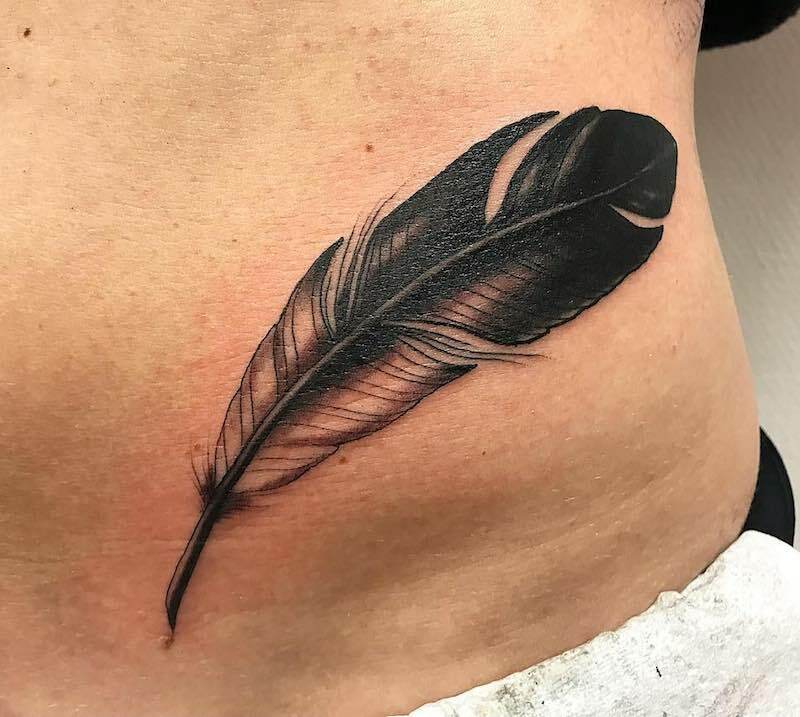 Feather tattoos can be done in black and grey ink, a medium that promotes realistic imagery and creates depth within the image. 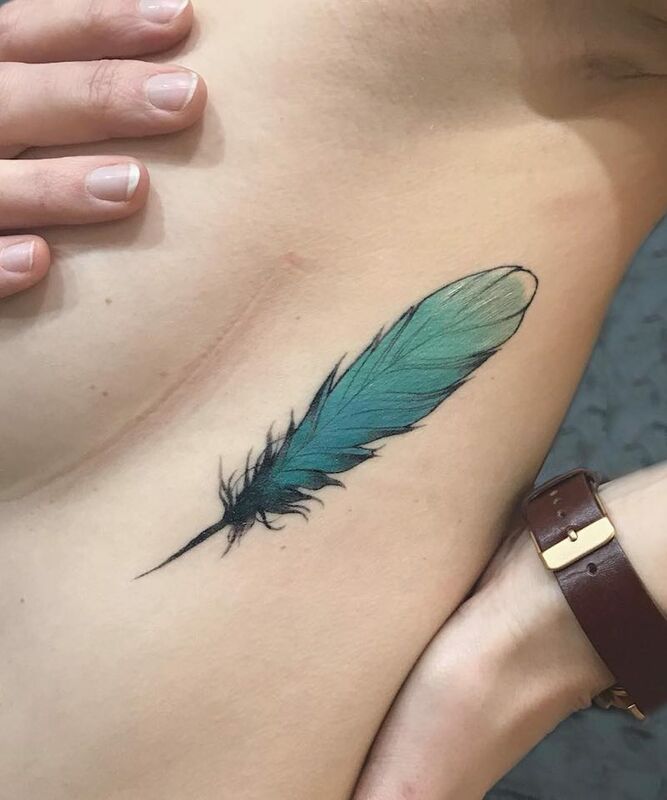 But an equally popular feather tattoo is the peacock feather. 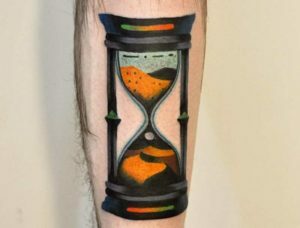 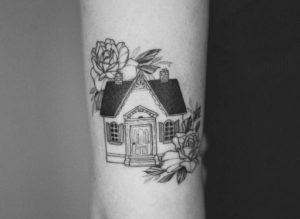 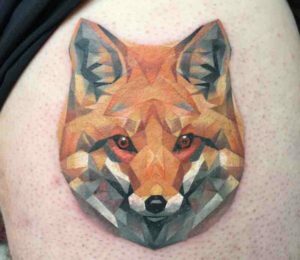 Usually tattooed in vibrant color, it is a design that is often striking in appearance. 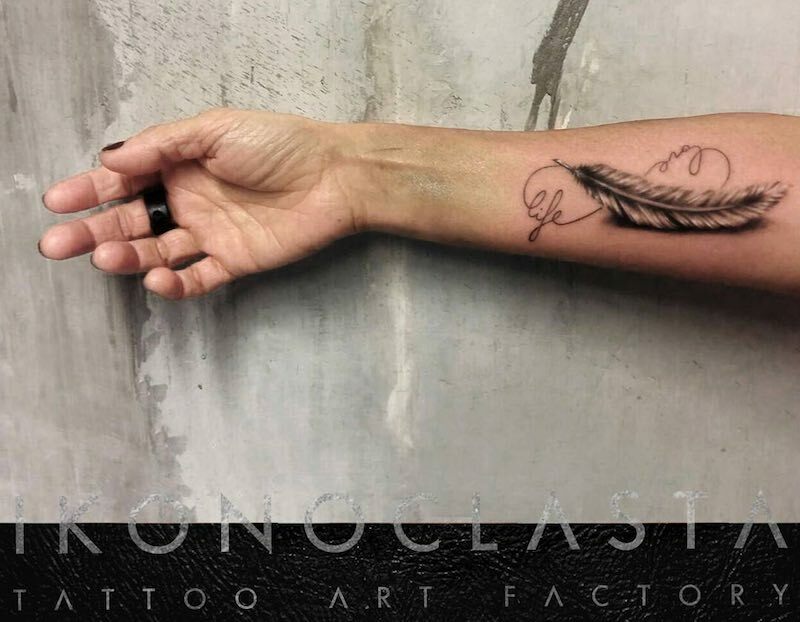 Feather tattoos have many meanings, some of which overlap with the meanings of bird tattoos. 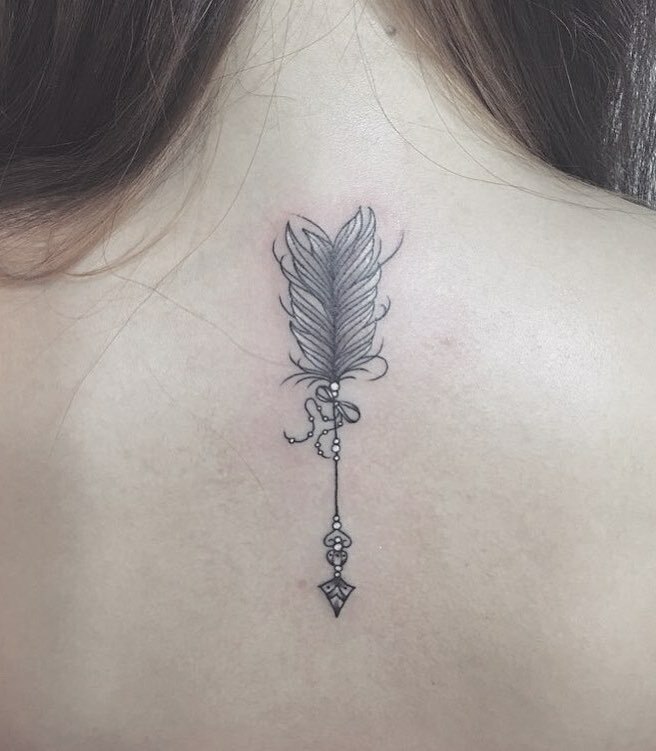 These meanings include freedom, travel and courage. 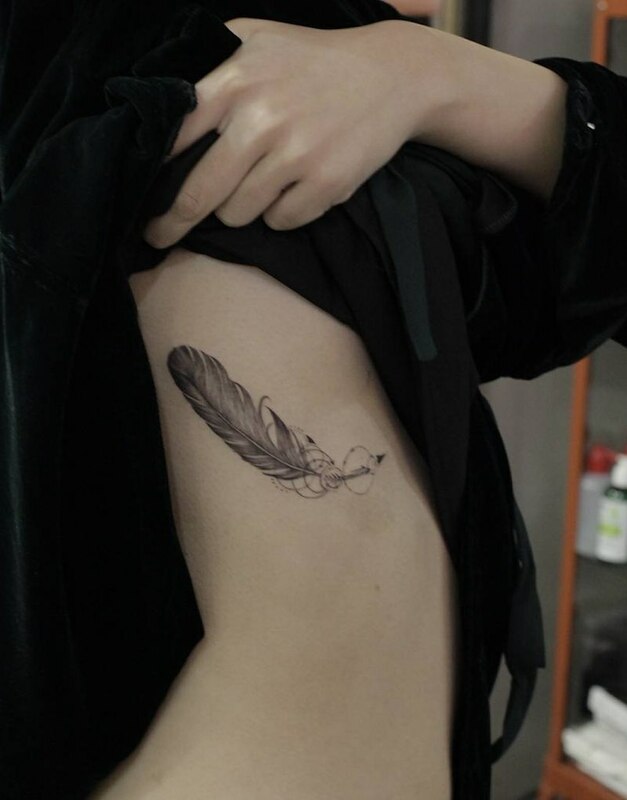 Freedom and travel is related to the ability of most birds to fly and be free, travelling the world of their own free will. 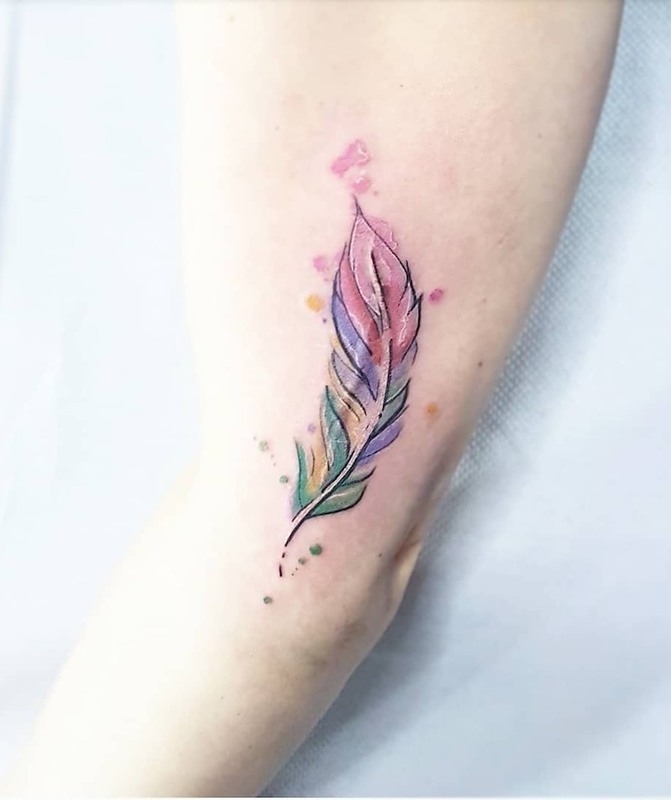 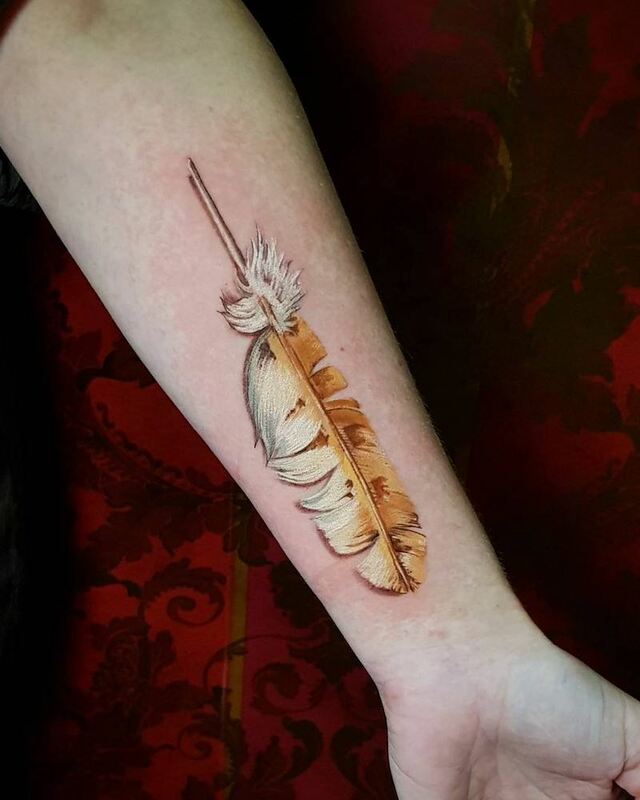 Feather tattoos can sometimes symbolise truth which regularly operates in tandem with courage and bravery as telling the truth can often take both of these qualities. 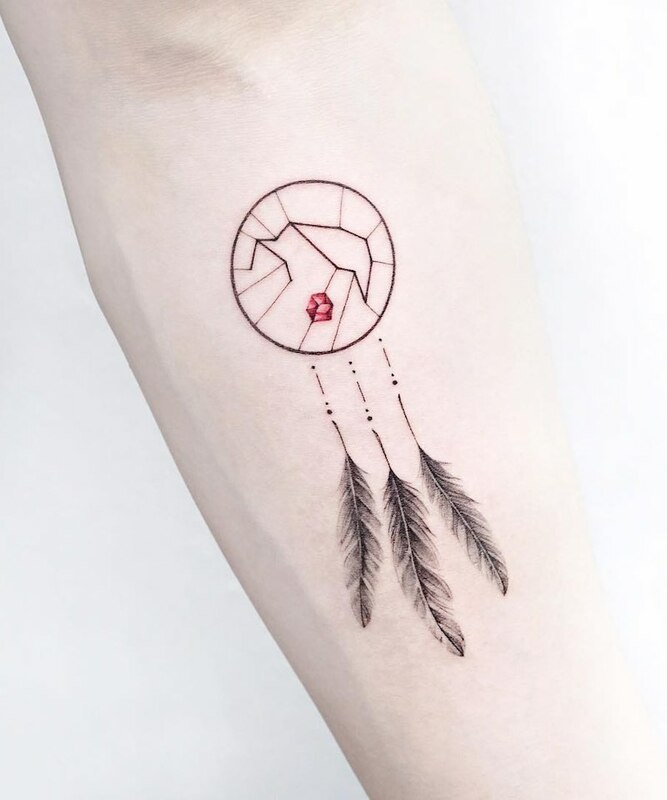 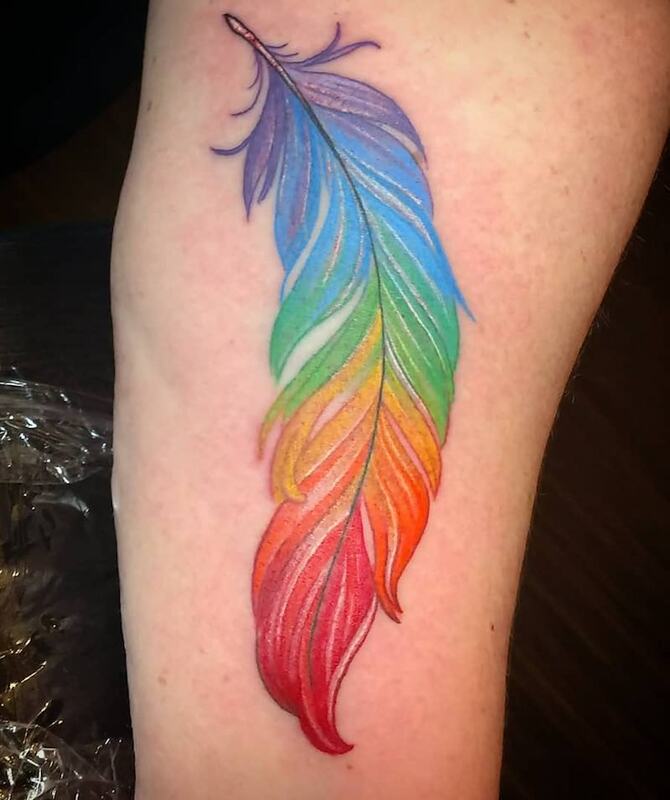 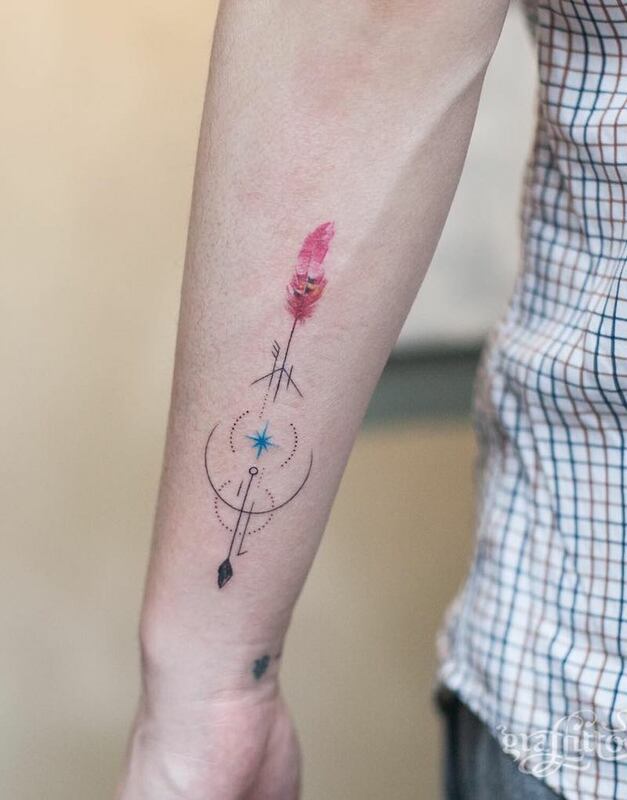 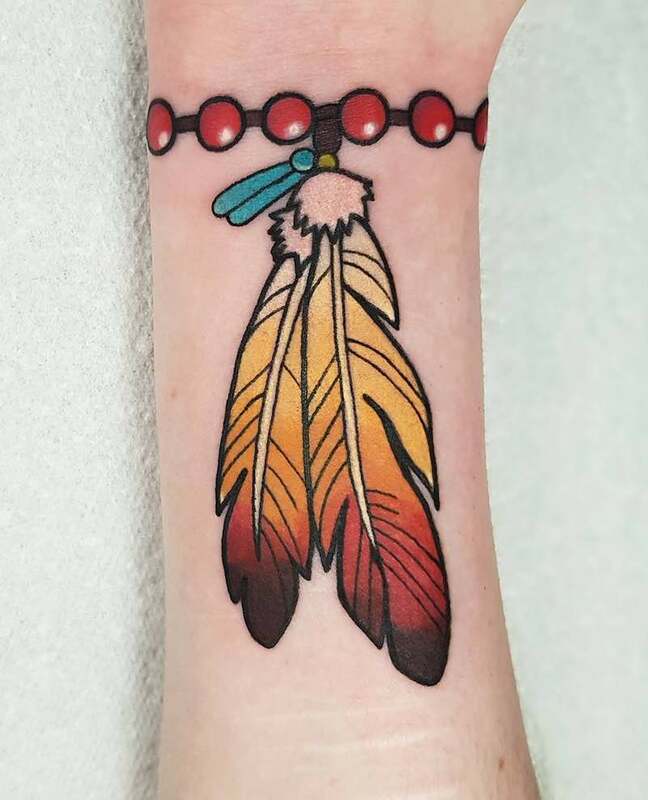 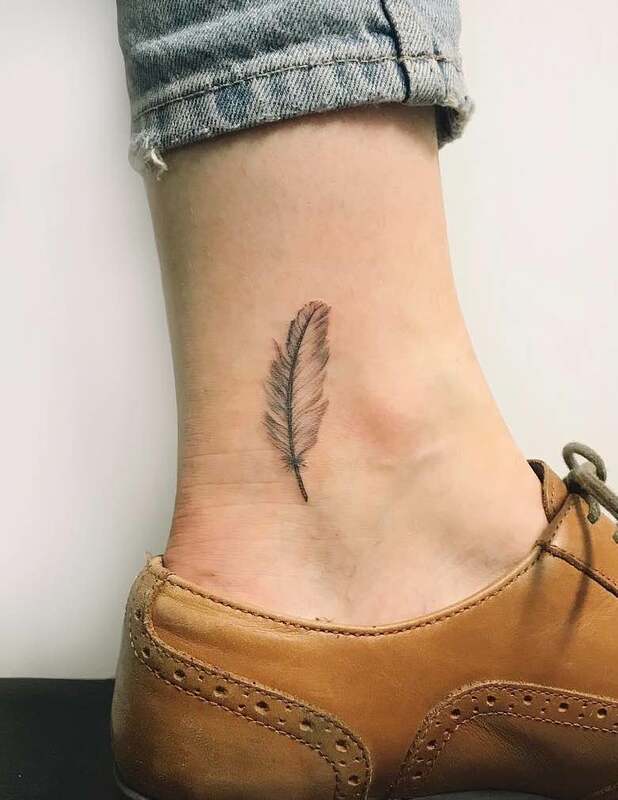 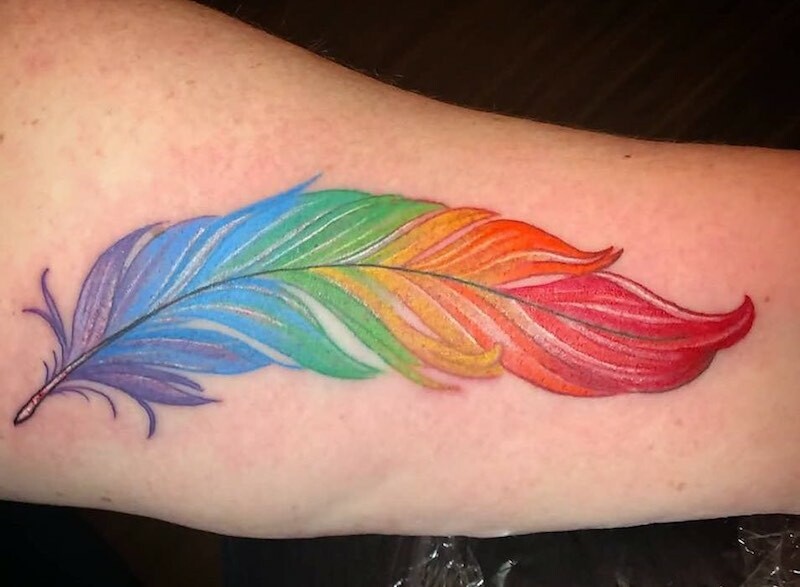 Feather tattoos can also have personal symbolism and they make excellent friendship tattoos since they can be done as small, simple tattoos.